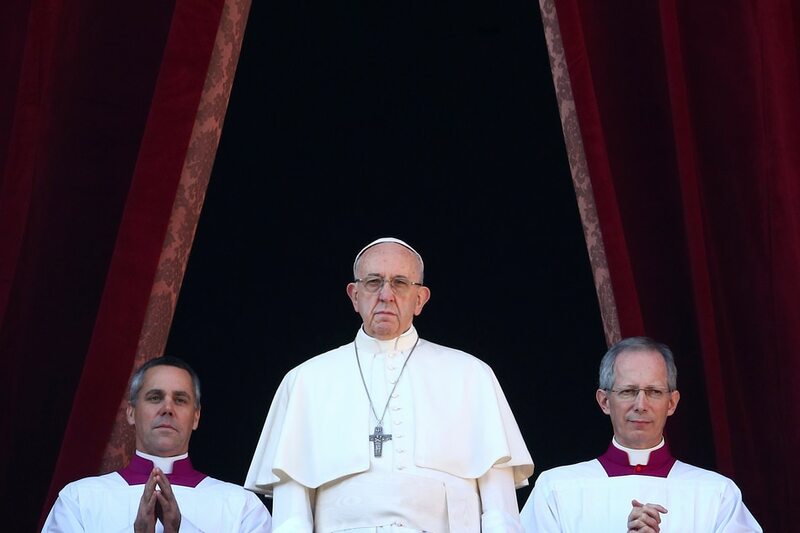 VATICAN CITY -- Pope Francis used his Christmas message on Monday to call for a negotiated two-state solution to end the Israeli-Palestinian conflict, after U.S. President Donald Trump stoked regional tensions with his recognition of Jerusalem as Israel's capital. "Let us pray that the will to resume dialogue may prevail between the parties and that a negotiated solution can finally be reached, one that would allow the peaceful coexistence of two states within mutually agreed and internationally recognised borders," he said, referring to the Israelis and Palestinians. It was the second time that the pope has spoken out publicly about Jerusalem since Trump's decision on December 6. On that day, Francis called for the city's "status quo" to be respected, lest new tensions in the Middle East further inflame world conflicts. Francis, leader of the world's 1.2 billion Roman Catholics, urged people to see the defenceless baby Jesus in the children who suffer the most from war, migration and natural calamities caused by man today. "Today, as the winds of war are blowing in our world ... Christmas invites us to focus on the sign of the child and to recognise him in the faces of little children, especially those for whom, like Jesus, 'there is no place in the inn,'" he said. More than 600,000 Muslim Rohingya people have fled mainly Buddhist Myanmar to Bangladesh in recent months. The pope had to tread a delicate diplomatic line during his visit, avoiding the word "Rohingya" while in Myanmar, which does not recognise them as a minority group, though he used the term when in Bangladesh.